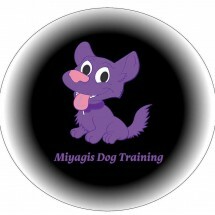 You have to be mad to use Miyagis; you have to love Dogs, see them as family and to be against hurting them to get behaviours from them that you want. You won't get an Old School Dog Trainer and you won't get someone patronising and terrifying and you won't get an assistant who doesn't know what there talking about or just observes. Dogs are allowed on the sofa and the bed. Dogs are allowed to socialise and Dogs don't have to be staring at your hip on a walk. You get the very best and the very best support and we hate aversive methods! It's all about the Dogs happiness. I have no agenda, I am not here to make you work in a way which does not suit you or your dog. I work with you in a way which suits both you and your dog. I specialise in Aggression, be it Dog to Dog aggression or Dog to human Aggression and sponsor Yellow Dog UK. I work with people from all backgrounds and have no prejudices, I work with people who have disabilities or problems with making classes for various reasons. I can deliver a Class session to you in your home and work with you in a Class style in for whatever reason you cannot make the Classes. 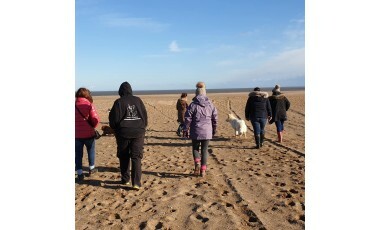 My aim through my Services is to help you and your dog to be bonded, happy and comfortable with your dog and so that Rescue Centres and Re-homing do not become the only option you have left. I work with all breeds and ages and Puppies are welcome to join classes as soon as they have had their 2nd Vaccination. I am fully insured under the Pet Plan Sanctuary Insurance Scheme, I am Certified and Accredited and a fully qualified Behaviourist. I also have a Level 2 in Animal Care, Animal Psychology Level 3 and a Level 2 in Canine First Aid, Level 3 in Dog Grooming, I have attended Workshop 1 of Central Canine Scentwork, I have successfully completed Ian Dunbars Workshop Seminar on Reactive Dogs and I am currently studying for a Degree in Advanced Canine Studies with the British College of Canine Studies as well as Grisha Stewarts Building Blocks Course for Aggressive Dogs. I am also a fully qualified Microchipping agent qualified with Micro ID. 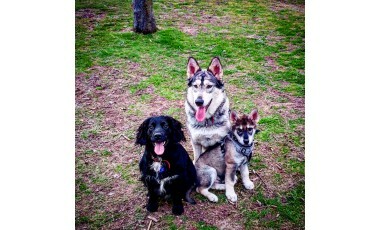 I began as a Dog Walker as a Teenager and my Dog Training has spiralled from there, I use techniques to meet the dogs and your requirements, I do not follow a specific training agenda, I work holistically with the dog. 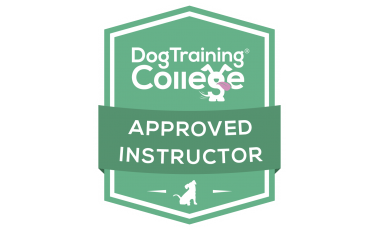 As a Dog Trainer I feel I will never stop learning, learning from Clients and Dogs alike and this is why I continue to study and seek out new courses to always be a better and up to date Trainer no matter how much experience I have. All attendees will be asked to sign a Contract and Liability/ Waiver form. Whilst I love my chosen career, it is still the way that I earn my living and as such have to charge money for my time and expertise. My rates are very reasonable especially for people with such experience and academic qualifications. 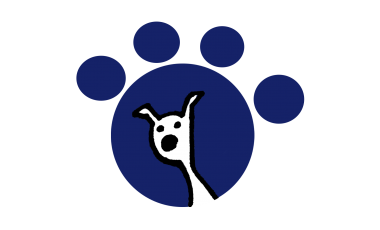 As a Sole Trader it is important that I am able to continue my work to help your Dogs. Whilst I am aware that many of you do not cancel or make arrangements via cancellations some have not. Less than 48 hours: full price of lesson. For all new Clients payment must be made in advance for the first session due to no shows or people not being home. I care about Dogs and their families, I want to help people before they feel they have to give up on their Dog. I'm fun, friendly and work in a positive way, I do not agree with aversive methods, continued support even when Training has finished. 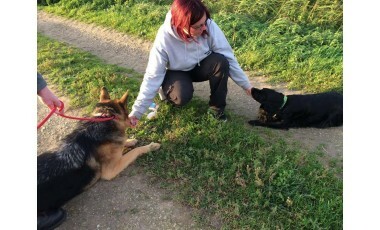 I got in touch with Tasha after struggling to find a dog trainer that would actually come and see us and my 2 dogs at the time about their reactive problems and see if they could help near to me. Found Tasha on Facebook got in touch and she came out to see us and my 2 dogs. 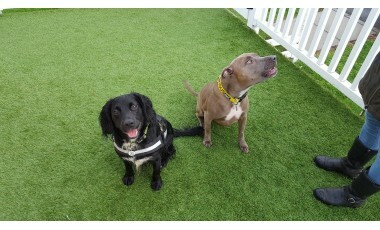 We have since been working with Tasha 1 to 1 with one of my dogs now due to having to rehome the other. She has been so patient with us as had set backs lately. She was brill when I just messaged her so upset about rehoming my other dog. She really cares about all the dogs she works with and you can see that. The seminars she does too for us reactive dog owners are brilliant I was so impressed with what I learnt but also she had got us dog owners together and it was so good as you talk together and realise you are not the only one with a reactive dog. Would highly recommend to anyone Tasha isn’t the closest trainer to us but we are happy traveling for seminars and walks in towns with Tasha as takes a lot for me to trust and feel confident with someone with my animals and from the first meeting with Tasha we knew found a good trainer.